Isaac Ellis Ives was born at Great Waltham, Essex, England, in 1839, the son of Isaac and Susana, née Field. He married Margaret Henrietta Weston at Redfern, New South Wales in January 1858 and had two sons and a daughter. Margaret died in 1863 and in 1865 he married Elena McDonald and had four sons and three daughters. He died at Mosman New South Wales on 7 December 1906 and was buried with other local pioneers at St Thomas’ Church of England at North Sydney. Isaac Ives left home at an early age to travel to London. He arrived in Sydney in January 1857 under contract to Tooth & Co. and worked at their Kent brewery. He visited Queensland in early 1860 to report on Tooth stations. He was the manager of Argyle Bonded and Free Warehouses at The Rocks for Messrs Tooth, Mort and Croft between 1860 and 1865, then for JS Mitchell until 1876, when he purchased the business. He visited England during 1884 and 1885. His home was in Blues Point Road, North Sydney. Ives was the Chairman and promoter of the North Shore Ferry Company. Ives was elected MLA for St. Leonards between 1885 and 1889. 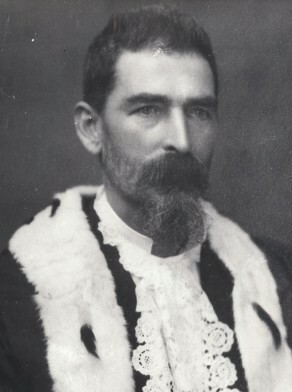 Isaac Ives was Alderman for Gipps Ward, 27 November 1893 to 30 November 1898. He was the Chairman of the Disposal of Refuse Committee and the Electric Lighting Committee, 1896-97. During these years he also served as Mayor. City of Sydney Archives: Aldermen’s Files; Photos: CRS 80/3 and THC 88/620.